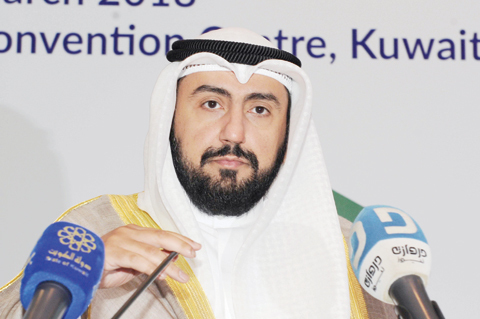 KUWAIT: On behalf of Health Minister Sheikh Dr Basel Al-Sabah, Undersecretary Dr Mustafa Redha affirmed the ministry’s commitment to keeping up with the latest international developments in surgical performance. In his speech on Sunday during the opening of the 17th annual Kuwait Post-Graduate Assembly in Surgery (AKUPAS) and 6th annual Kuwait Surgical Society (KSS) meeting at Four Seasons Hotel, Redha said the health ministry is keen to shed more light on the latest developments in order to meet the challenges, especially in the areas of obesity and surgery, gallbladder surgery and tumors, and to use the latest technologies to develop surgical performance. He added that the ministry is proud of the distinguished surgical performance of colleagues from the technical, administrative and nursing staff, who work to provide healthcare based on scientific evidence and respect the safety and rights of patients in this field. Redha pointed out that the ministry will work to benefit from the results and recommendations of the conference and update the policies and protocols of surgical performance and healthcare at all levels and provide them within the strategy and national plan of action to meet the challenges facing the health sector. Dr Asma Al-Rashed, General Bariatric and Metabolic Surgeon at Amiri Hospital and chair of the women surgeons’ committee in Kuwait, expressed her happiness in participating and moderating the sessions of the annual conference. She told Kuwait Times that this year the conference was special, as it invited five female surgeons. “This is a milestone – to get Kuwaiti women surgeons to be involved and participate, not only in attending the conference, but also chairing and moderating the sessions, as one of the surgeons – Dr Ibtisam Al-Bader – is a part of the supreme organizing committee of the conference,” she said. 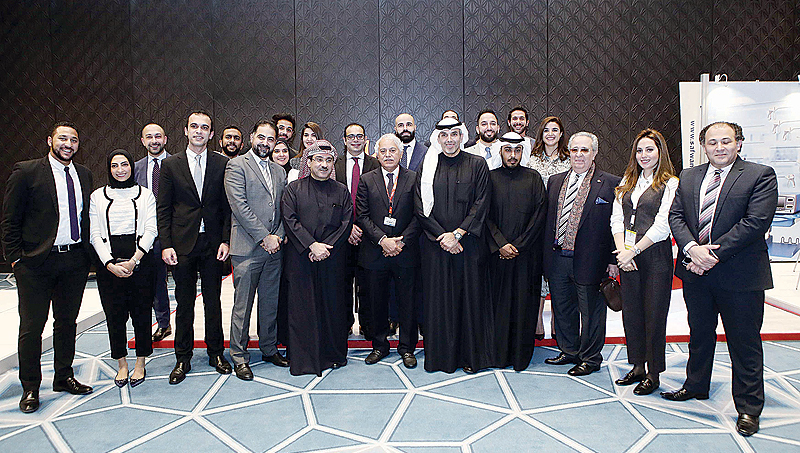 “The conference hosts doctors from Arab, Gulf and various countries in the field of general surgery, orthopedic surgery, obesity, abdominal wall surgery and tissue tumor surgery to discuss and exchange their experiences in these fields. 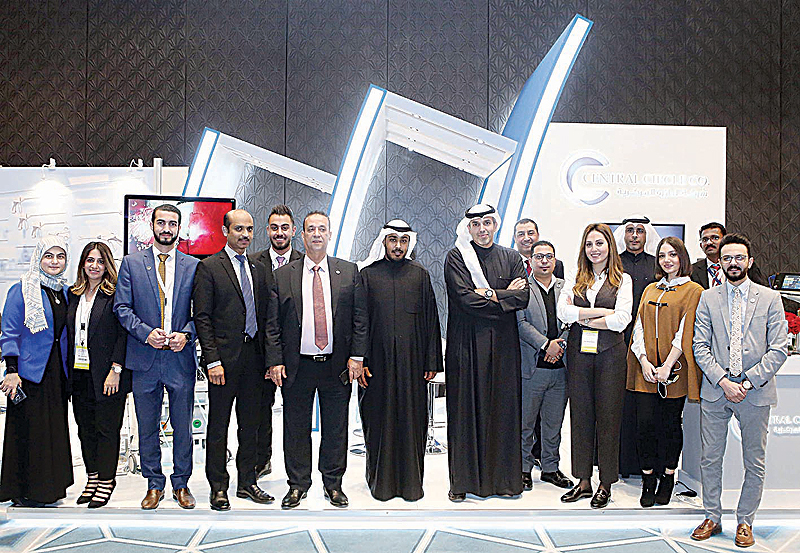 In terms of the topics that were covered, the doctors spoke about bariatric treatment of obesity, medical effects and related issues,” Rashed noted. CEO of Central Circle Company Dr Ziad Al-Alyan poses for a group photo with Central Circle Company staff. Meanwhile, the conference focuses on establishing the core of a continuing medical education program in the field of general surgery, its precise specialties and successful steps that are in line with all the different levels of surgery, ranging from medical school students to fellows and board doctors and ending with consultants with specializations. The 17th AKUPAS and 6th KSS meeting took place from February 2 to 4 under the patronage of the ministry of health. This year the scientific program included bariatric surgery, colorectal and hernia surgery and surgical ethics. The aim of this meeting is to provide practicing surgeons with advances in diagnosis and treatment of surgical diseases, as well as updates on the most recent consensus on controversial issues.